Led by Master Percussionist & Founder Reinhard Flatischler who's work spans over three decades, with workshops spanning the globe, Ta Ke Tina has become synonymous with personal evolution through rhythm & sound. Reinhard Flatischler is constantly training new TaKeTiNa rhythm teachers around the globe to further the potential of TaKeTiNa to revolutionize music education and personal evolution for future generations. Reinhard Flatischler was Born in Vienna in 1950 and completed his studies at the University of Music and Performing Arts, Vienna before being introduced to drums and percussion by master drummers from six continents. In 1970, Flatischler founded the TaKeTiNa rhythm process. Flatischler is a member of the scientific committee of the International Society for Music in Medicine and, together with Dr. Gerhard H. H. Mueller-Schwefe, president of the German Pain Association (DGS) and co-director of the project, "Rhythm and Pain Therapy." Teaming up with leading physicians and scientists, Flatischler publishes research results about the effects of the TaKeTiNa rhythm process. Flatischler collaborates with, and composes for some of the best musicians of our time. Among them are Airto Moreira, Zakir Hussain, Glen Velez, and Leonard Eto (Kodo). His seven CDs are among the best-selling albums in the field of percussion music and have won international awards, as have his four German books. TaKeTiNa is a worldwide registered trademark. The Laya Project, an Award Winning Visual & Musical journey through six countries. Six shores sharing one ocean, one sky & one language of survival & music. The Laya Project is a personal and collective tribute to the resilience of the human spirit, and is dedicated to the survivors of the 26th December 2004 Asian tsunami. Producer, keyboardist, Lyricist, composer and Performer Idan Raichel is a global music icon who has brought his inspiring example and soul-stirring music to some of the planet’s biggest stages. As the leader of The Idan Raichel Project, Idan acts as a musical ambassador representing a hopeful world in which artistic collaboration breaks down barriers between people of different backgrounds and beliefs. Rachel was awarded the 2016 Unsung Hero Award by Martin Luther King 3rd saying: "each one of us in our own mission is trying to continue the dream of your father and your organisation to create the bridges between cultures and bring hearts together." You can find out more about the project, named a "multi-ethnic tour-de-force" by Billboard Magazine, here. An 8-piece funk powerhouse made out of known and respected musicians in their own right who use their uncompromising groove to get their message through. 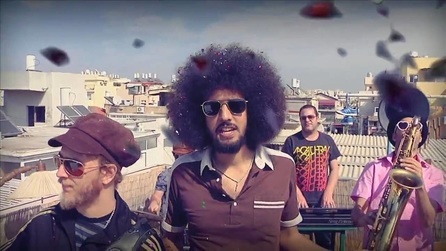 With songs about love, making a change, the need for peace, and funky beats they sweep you into the twirling soul and groove hurricane they bring to the stage. 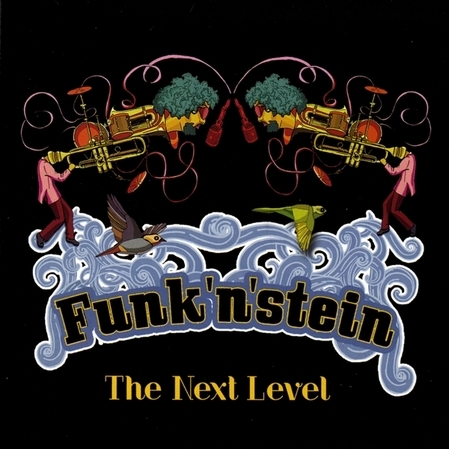 Determined to bring their love and music to whoever needs it, they answer only to the call of true funk. "I so deeply believe that mothers are the fabric of our society – healthy society needs healthy families, and healthy families rely on healthy mothers." Dr Oscar Serrallach graduated with a medical degree (MBChB) from the Auckland School of Medicine, New Zealand in 1996. He received his fellowship of Family Medicine and General Practice in 2008 and is currently completing a Fellowship in Nutritional and Environmental Medicine. 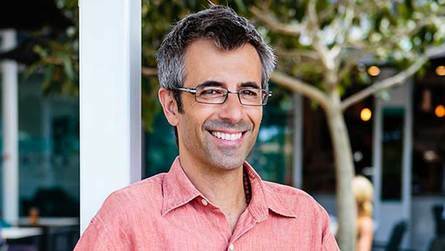 He is the owner and principal doctor at the Mullumbimby Integrative Medical Centre based in Northern NSW Australia, which he has been running since 2011. Coloured by her background in celtic, gypsy and other folk tradition, Laura Targett mesmerises audiences with her poetic songs, vulnerability, depth and big musical heart. With a personal music style that crosses multiple genres, her love of music from around the world and her early classical training, she has emerged as an evocative songwriter with a unique voice. Laura is a highly talented artist, sharing her experience of life through original songs that are intimate, direct and poetic, infused with a strength that is drawn from a vulnerable, honest authenticity. Rita Yahan-Farouz, known as Rita, is an Israeli pop singer and actress. Rita Yahan-Farouz was given the gift of her amazing voice. Born in Tehran, her Jewish family immigrated to Israel in 1970. 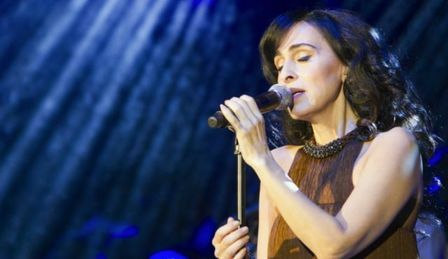 ​With her musical career spanning three decades, Rita has managed to become the biggest female artist in Israel and one of its most iconic cultural figures. Adoring fans, an immense following and a vocal signature like no other have all kept her on top ever since her breakout album in 1986. The roots of the music Rita got at home were always a strong part her, and her musical career. Rita will present from the TEDx stage, the true power of art. In 2011, she became popular in Iran after the release of various pop records which she sings in her native Persian language. In 2012, her album "All My Joys," also sung in Persian, was popular in Israel and Iran, going gold in Israel after three weeks. She has since been referred to as a cultural ambassador between Israeli and Iranian citizens, and states she hopes to "puncture the wall of tension" between their countries. Poet, multi-instrumentalist, singer-songwriter, composer, music producer and facilitator of healing through music circles and workshops, Amir is a storyteller of the highest accord. 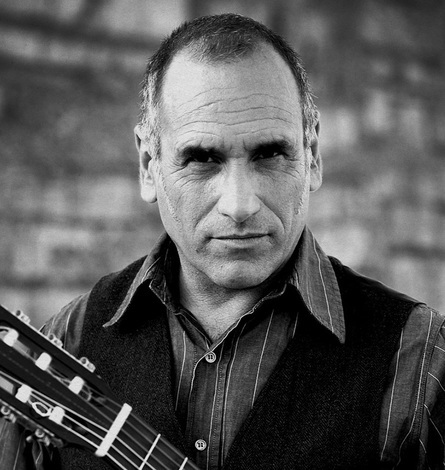 Paiss is the founder of world renowned Hebrew-Arab music ensemble Sheva with whom he performed in The U.S, Canada, Europe, Australia and Israel. Festival performances of note include Ethno-Sur/Spain, Sfinks/Belgium, Montreal Jazz Festival/Canada, Poetry of Peace/U.S.A, Womadelaide, Woodford, Byron Spirit Festival, Uplift/Australia and more. A student of philosophy and texts of the Kabbalah at Tel Aviv University, Jewish Mysticism and Sufism, he complimented his intrigue travelling the world extensively integrating music, spiritual disciplines and natural healing. 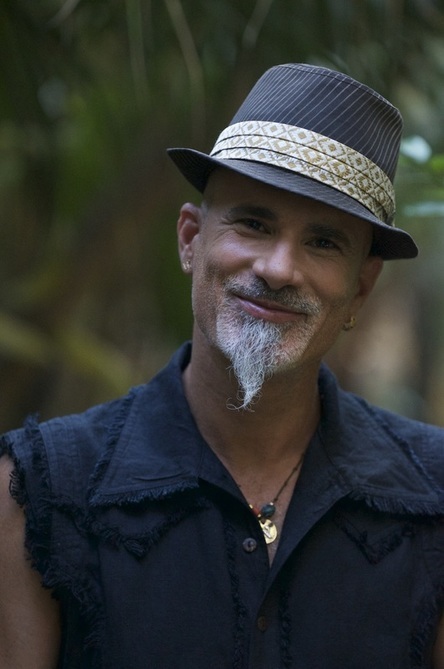 For the last 2 decades Amir has been performing, leading and facilitating music, self-healing and interfaith workshops in Israel, Europe, The Americas & Australia. 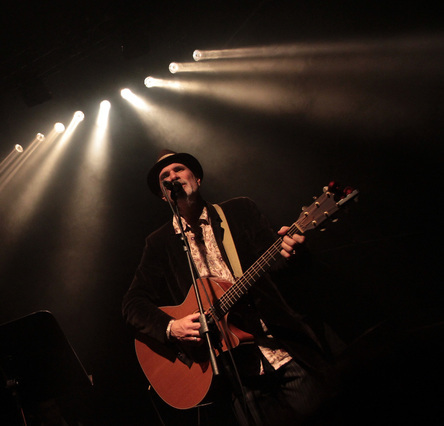 Based in the Byron Shire for the last 14 years, in which he recorded and co-produced 6 musical albums. Satsong is his latest creation and his first solo album in the English language. Avishai Barnatan is a Multi- instrumentalist, composer, producer and sound healer. For more than 20 years has been exploring the healing power of sound and music. 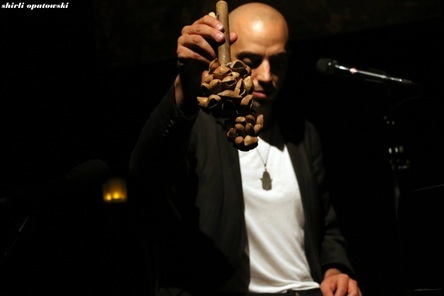 Through working with groups and individuals of diverse backgrounds and conditions, he has developed a unique approach and use of sound as a tool for physical and emotional transformation. Mika Sade is an established singer-songwriter from Tel-Aviv. After two successful Hebrew albums and countless collaborations with some of Israel's biggest artists, Sade turns to English for the first time with her third studio album - "Birds&Guitars". In the new album Mika reveals another side of lively personality, by turning to folk-oriented, softer tones that highlight a sense of intimate encounter with her audience. With an angelic voice, she tells of the sweet, short love sto- ries, and exciting adventures she experienced during her life. The album which was written and produced by Sade, was recorded in her home studio through the course of a week.
" When it hits, you feel ok, hit me with that music... "
Over the past 13 years, Idan has collaborated with American pop stars India.Arie, Dave Matthews and Alicia Keys, not to mention a wide range of artists who are household names in their native countries: Portugal’s Ana Moura, France’s Patrick Bruel, Italy’s Ornella Vanoni, Germany’s Andreas Scholl, and Mali’s Vieux Farka Touré to name a few. 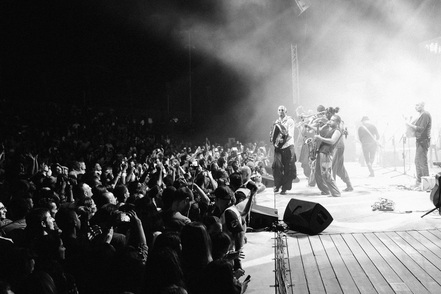 ​The Idan Raichel Project’s spectacular live show has enchanted audiences worldwide. They have headlined in some of the world’s most prestigious venues, including New York’s Central Park Summer Stage, Apollo Theater, Town Hall and Radio City Music Hall, Los Angeles’ Kodak Theater, the Sydney Opera House, Zenith in Paris, London’s Royal Albert Hall and many international festivals..